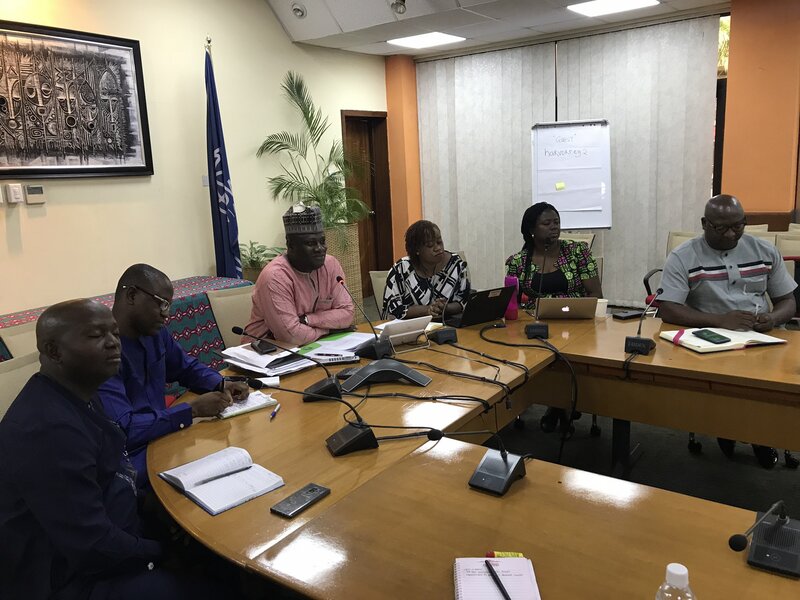 National Program Management Unit led by Dr. Ibrahim Kana at a video conference with the World Bank team in Washington DC discussing progress and challenges of the Program. Specifically appraising the Mid Term performance of the Program. The meeting expressed deep concern on the poor performance of the Independent Verification Agent which causes delay in disbursements of funds under the process indicators. However, the National Program Manager, Dr. Ibrahim Kana conveyed the Hon Minister’s approval to the introduction of new DLIs on Decentralized Facility Financing as well as the Performance Framework for the states. On the half yearly Lot Quality Assessment Survey (LQAS), The HMH said this may be handled by the state. He further expressed support for the Program extension for at least one year considering the delayed take off of the Program in 2015. Meanwhile , it was resolved that both the National Health Facility and SMART Surveys are to commence earnestly and the state retreat that the NPMU commenced is to be sustained.